This story was narrated by one of the caretakers of Haram of Imam Reza as a few years ago. I read about it last year. I wanted to translate it and share it with others, due to lack of tawfeeq I was not able to. 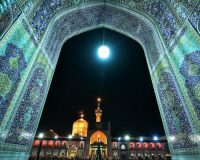 However, on the death anniversary of Imam Reza as. I just finished translating it and would like to share it with everyone. 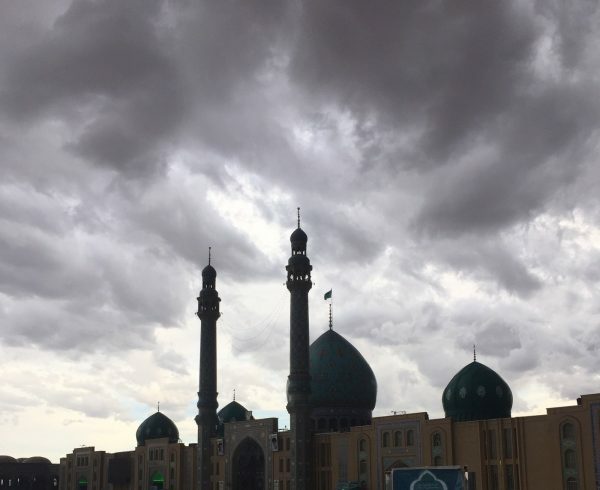 May Imam Reza as. accept this small effort and by the right of Syeda Zahra sa. hold our hands in this world and in the hereafter. 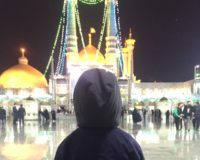 This is a story of a young Canadian and his experience which resulted in his journey from Toronto to Mashad Imam Reza as. I entered between the courtyard of the Sehn Inqalab and the courtyard of the mosque of Goharshad. When I arrived there, I noticed a young man of about 35 years old who had a fairly large travel bag and was asking around, but unable to get an answer. Canadian: Sorry, Where is Mr. Ali Bin Musa Reza? I want to see them. Canadian: I am a law student at the University of Toronto, Canada, originally from Lebanon, but I was born in Canada and my religion is Christianity. Care taker: That is, you are a “Christian”? Canadian: Yes, a Catholic Christian. So what are you doing here ?! Canadian: I have been invited to meet Mr. Ali bin Musa Reza (AS). Care taker: Who has invited you? 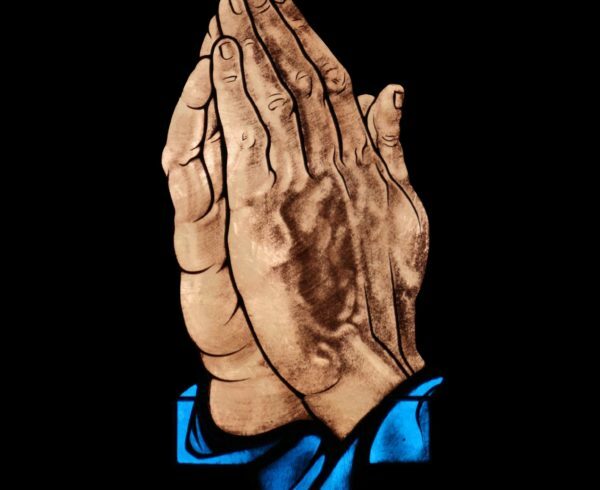 Care taker: I was still confused, despite all the history of religious propaganda inside and outside the country, I had never heard about Imam Ali Bin Musa Al-Reza (AS) personally inviting someone to come to see him, that also a young Canadian Christian! Canadian: Yes three or four times. That is, you have seen with your own eyes Ali Bin Musa Reza (AS) ?! Canadian: Yes, I’ve him seen, in my dreams. Care taker: Will you recognize him, If you see him now? I asked: Can you tell me how did you get acquainted with Mr. Ali Bin Musa al-Reza (AS)? Can you expand more on this? Yes, of course. One night I was walking on one of the streets of Toronto, where I saw a small crowd and there was a lot of traffic, the building was lit brightly, and heavily decorated. I became curious as to what was going on. I came to see what’s going on, some of them stood up in my respect and, after welcoming me sat down beside me and served me immediately with syrups, sweets, ice cream, and chocolates. There was a sermon being delivered in English. And everyone was listening in with attention to this clergy’s sermon. I got lost in the sermon. This was my first time listening directly about Islam from the tongue of a Muslim preacher. On the way out of the mosque, they were handing out a book to everyone, they gave me one as well, I was delighted and thanked them. I started walking in the direction of my house, I was deeply immersed and thinking about what I had heard that I didn’t even realize that I was home. I changed into my pj’s and went to lie on the bed, I took that book with me to look at it, because I would not find the opportunity to do it tomorrow. I started reading the book while lying my bed. The book had completed taken over me, I could not stop reading, I would not allow myself to put it down, until I had read every single page of that book. That book talked about a Muslim saint called “Ali Bin Musa Al-Reza”. His cherished personage and his sermons; the heavenly saint, fascinated me and conquered the entire domain of my thoughts, My entire existence immersed in thinking about this Saint. Lying in my bed, although I could not sleep until the morning, I did not realize when I dozed off for few moments, I entered the land where I was dreaming, it was a spiritual and heavenly land! I had never seen something like this, nor could I imagine such a beautiful place. I saw a man with a bright luminous face, a heavenly man whom I had never seen before. I asked him to sit down with me for a few moments, and he accepted and sat down. “Do you want something from me”? Y … Y … yes! But, unfortunately, I don’t know you! Yo didn’t recognize me?! I am “Ali Bin Musa Reza”. I would really like so see you in person. Your guest That is awesome. But where do you live? Ail bin Musa Reza: Iran? Ail bin Musa Reza: A city called Mashhad. Canadian: Thoughts started to come at lightning speed; I knew Iran, but I never heard the name of Mashhad! It is not so easy for me to go to such a city, financially, and in terms of the unfamiliarity of the region and for other reasons. Yet, I asked him, how can I come to visit and see you? Ail bin Musa Reza replied: I will provide you with the facilities. When you reach there, go to the person who is behind the desk number four, give him this sign, and he will give you a ticket and address where you can find me. When I woke up I did not take it seriously, I saw him again for two nights in a row in my dream, on the last night he asked me: why didn’t you get the tickets? The address, the location everything thing was as He had described in my dream. It has days since your ticket been issued, why did not you get it? You do not have a lot of time till your flight. Your entire ticket price has already been paid. The Caretaker at Haram: After hearing these words from a young Canadian Christian, I became overly excited my facial color completely changed, and my heartbeat became more intense and began to shake. Canadian: I just got off the road and told the airport taxi to take me to the house of Mr. Ali bin Musa Reza, he brought me here. Now I do not know how to meet them? 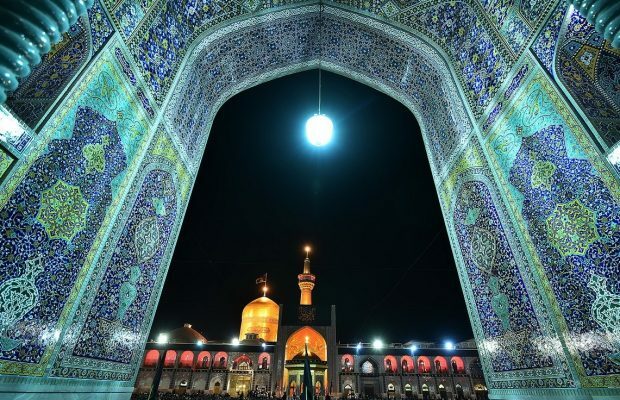 The Caretaker: No, no, now I’m quite alright, just happy that I am seeing you, and you have been blessed with an invitation to meet Mr. Ali bin Musa al-Reza (AS). I am happy and delighted and overly excited. He said: May I beg you to please take me to this gentleman as soon as possible? We put the suitcase and shoes in the back of the mosque of Goharshad and entered the Haram. We had not descended down the flight of stairs towards the Zarih, that he saw a huge crowd. Canadian: This massive crowd, what are they doing this night? Caretaker: These have come here like I and you to meet Ali ibn Musa al-Reza (AS). Canadian looking confused: But I thought that He had invited me only to visit them, it’s a private visit! Now … Now, in this bustle, how can we meet them? I would love to meet him alone. Caretaker: Did He not invite you? Caretaker: So, He will come on his own to meet you. Canadian: But, how do we introduce ourselves to Him? Caretaker: He does not need for you to introduce yourself, just like he came in your dream, He will come and find you. Canadian: Surely he must be sitting somewhere on the high throne and people want to meet him”. Canadian (Pessimist tone): Hope, that He is not a fiction of imagination and does not exist? We got closer to the checkpoint after a while. Canadian: ”Why are these people glued to this cage type treasure box (Zarih),?! – Is He inside it? – Is it possible for me to see him? Caretaker: Just as you see God in your heart. Caretaker: Have you ever seen Jesus (AS)? Canadian: Yes, many times, but in my dreams. Caretaker: Mr. Ali bin Musa al-Reza will show himself to you, he was martyred by his enemies over a thousand years ago. Canadian: How will he contact us now? 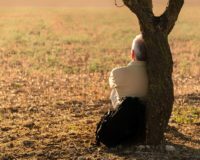 Caretaker: Do not you know how God communicates with mankind? How do you really connect with Mary (SA) and Jesus (AS)? Caretaker: You must stand here to see the gentleman himself. Then I opened the prayer book and began to read the ziyarat beside him, but, to be honest, my focus was the Canadian, and he did not understand a single word of the ziyarat. He spoke with Imam Reza as. for approximately an hour and a half. Tears were rolling down his cheeks during the entire conversation. His whole face was covered with tears, I understood some of his words and rest I could not understand. Without any prayers by the Canadian, we left the shrine. I booked a two twin bedroom at Tehran hotel so I could be close to him and follow the story. After dinner, I asked: What did you talk with Mr. Ali bin Musa Reza (AS)? I said: I have heard the name of the Quran, but never looked into it. He read the Qur’an for me, in such a charming and beautiful tone. I was so absorbed in the Quranic verse that involuntarily I started to cry. From then on I became fascinated by the Qur’an and stated to Him: I hope I can read the Qur’an and enjoy it and use it. I asked: What is the root and origin of this book? Caretaker: (I grew very curious, with every single word the Canadian said. I asked: Well, did sir (Imam Raza as) tell you anything else? Canadian: Yes, he explained to me with five principles of belief. Caretaker: Well, what were those five principles? “Tawhid (Oneness of God), Nabuwwat (Prophethood, Adl (Justice), Vicegerents (Imamate) and Ma’ad (Resurrection)”. – I have never heard of these five principles in any way and religion! Caretaker: Did he explain the name of the religion to you? Caretaker: So what did you do? Canadian: I also became Muslim through him. Caretaker: (With excitement and wonder and with a sense of curiosity), I asked the following question: How did you become Muslim and what words did you say? Canadian: where are you going? Canadian: Wait! I’ll come with you too. Canadian: But I have a lot of other things to talk to him about. My words will not end soon. When we were standing again near the head of Imam Raza where is buried, He gazed at Zarih, his connection with Imam Reza (AS) was established and he began to talk. Once he finished talking with him, he performed ablution and started to pray in Arabic, with an accent, without anyone ever teaching him a word of Arabic.